This is the thirteenth in a series of blog posts I’m doing in response to the number of Delta-related searches that bring visitors to my blog. Each post in this Delta Tips series will deal with a different element of the Delta, based on my experience of doing it (and surviving to tell the tale! ) at Leeds Met. For information about writing the first section of the essay – the introduction – look at Delta Tips 10. For help with the second section of the essay – the needs analysis – try Delta Tips 11. 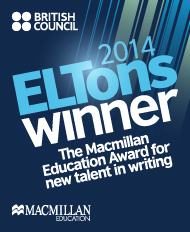 To find out more about the third section of the essay – the course design – try Delta Tips 12. Give yourself a pat on the back if you’ve got this far: you’ve finished designing your course and are ready to turn your mind to the issue of assessment. No small feat! Weighing in at 1000 words, +- 10%, the assessment section is nothing to sneeze at. If it’s any reassurance, it took me until I wrote the assessment section of my essay to actually get my head around a suitable writing style (and of course I had to then go back and redraft all the other sections with this eventually-acquired understanding!) – so don’t worry if it’s slow coming together, persevere and you will get there. discussion of how you will use assessment to monitor learners’ progress and assess the learning outcomes proposed by your course. discussion of how you will evaluate your course. I’m sure at this stage if I say the words “principles” and “literature”, you will immediately understand the implication of this: Yup, as with the other sections, you need to demonstrate knowledge and understanding of principles of assessment and evaluation, as outlined in the relevant literature. Mollycoddle the examiner(s): Use the guiding questions on page 73 of your module handbook to create sub-headings within your essay section 4, so that it is abundantly clear that you have included all the required information. The examiner is not interested in picking over your essay with a magnifying glass in order to find what he/she is looking for. Bear in mind that no course exists in an ideal world: Be realistic – with the best will in the world, there are going to be obstacles to overcome. That’s fine, but show awareness of those obstacles and demonstrate clearly that your intentions in terms of assessment are the best way of doing what needs to be done. Remember your learners: You know, that little group of people you did the needs analysis on and designed the course for? Yeah, them. Are the assessment procedures you have in mind suited to them and their needs? Don’t forget to mention evaluation as well as assessment: You know how I mentioned there are two parts to this essay section? Make sure you don’t get so over-excited by your amazing assessment set-up that you forget to think about and describe how you are going to evaluate your course and why that is the best way to evaluate it (referring, of course, to the literature…) Include examples of any questionnaires or other activities used to evaluate the course in your appendices and cross-reference to these. F is for…..: Formative assessment. Don’t forget this bad boy – you need to show exactly how you are going to monitor your learners’ progress as the course unfolds, not only what happens at the end. (And what do we call the assessment that happens at the end? That’s right, boys and girls, summative assessment.) Remember also to think about how the results that are generated by your amazing formative assessment procedure can feed into possible change of course content or approach. Are your assessment tools all clear, present and accounted for: You should include sample tests in your appendices. Don’t include tests in your assessment process for the sake of it – make sure each has a clear purpose and place within your overall assessment process. And then make doubly sure that this is abundantly clear to the examiner: You might like to include a table with your assessment plan in your appendices, clearly stating each test, as well as the type of assessment it constitutes and when/why it is to be used (with reference to the literature, of course!). You could then cross-reference to this in your course plan and in your assessment essay section. C is for (clear) cross-referencing: Refer to your appendices (assessment plan, sample assessment tools, any other assessment or evaluation-related documents…) within your essay and within your course plan. This will make it clearer how everything fits together and that this is a well-oiled machine, rather than a random collection of stuff thrown together at the last minute. Gratuitous tip for anybody who needs to create a speaking assessment tool for their course: Read Luoma (2004) and use the headings in her example test specification documents to help you make one of your own. It’s time-consuming to write but a useful process to go through, to get it clear in your head what your assessment tool needs to do, in what context, how, when and why. You can also include this document in your appendices as extra evidence that your assessment tool is closely mapped to your course proposal and group of learners. Final plug for Luoma (2004): Reading this book really helped me get my head around assessing speaking and designing assessment tools. Why are your choices important? You’ll be making a lot of decisions regarding tools to use, tools NOT to use, when and how often to use various assessment types etc etc: remember to think about why the decisions you made were important for the fit of your assessment programme to your course design. Don’t just make choices, be prepared to rationalise them clearly, with reference to the literature, your learners, your course proposal and learning outcomes and so on. Black, P(2009) Formative Assessment Issues Across the Curriculum: The Theory and the Practice. TESOL Quarterly. Vol. 43, Issue 3, 519-523. Davison, C. & Leung, C. (2009) Current Issues in English Language Teacher-Based Assessment. 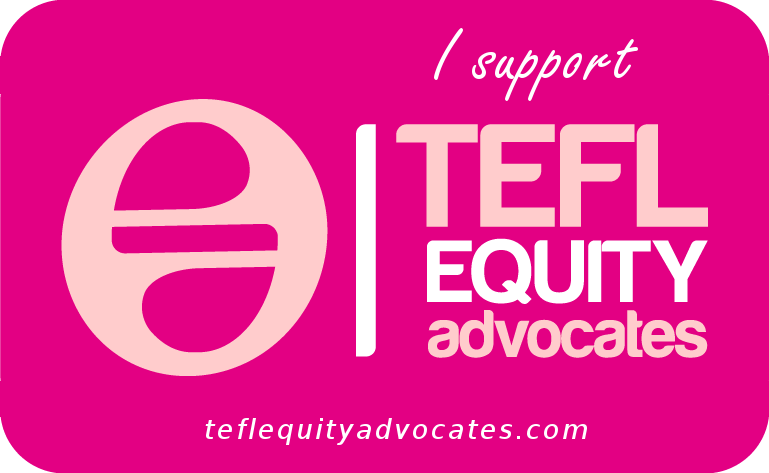 TESOL Quarterly, Vol.43, Issue 3, 393-415. Graves, K (2001) Designing an Assessment Plan in Designing Language Courses. Newbury House Teacher Development. Harris, M. (1997) Self-assessment of language learning in formal settings in ELTJ vol. 51/1. Oxford University Press. Oxford. Hedge, T. (2000) Planning and Assessing Learning in Teaching and Learning in the Language Classroom. Hughes, A. (2003) Testing for Language Teachers. Cambridge University Press. Cambridge. Luoma, S.(2004) Assessing Speaking. Cambridge University Press. Cambridge. Richards, J. (2001) Planning goals and learning outcomes in Curriculum Development in Language Teaching. Cambridge University Press. Cambridge. Stoynoff, S (2012) Looking backward and forward at classroom-based language assessment in ELT Journal Volume 66/4 Special issue. Don’t give up – you’ve broken the back of the thing now. Hopefully the assessment section will help you bring it all together. If you think I am wrong in anything I’ve said or that I’ve missed anything useful from this section, then please comment and I will add whatever is missing to this post! Countdown to Delta Module 1 exam – Good luck, candidates! Have you practised writing at speed for 3hrs with only a half hour break in the middle? If not, I recommend that you do so this weekend! And, find a nice, comfortable pen, making sure you have spares in case it runs out. Have you got your phonemes under control? If not, it’s not too late! Have a go at writing a short text in phonemic script. First with the chart to hand (if you need it), then without the chart, to force you to remember. Then try and write quickly in phonemic script. If you are shaky on your symbols, have a look at my “useful resources for module 1″ post where you can find links to Adrian Underhill’s chart, presentation on youtube and app. Have you got your terminology tightened up? Test yourself using all the flashcards that Delta hopefuls past and present have created on Quizlet (you can find a link to many of these in my useful resources post too). Or, if you prefer less new-fangled ways of learning, get your Thornbury A-Z of ELT and open it at random. Pick a term, define it and check your definition against his. Can you look at a spread of course book material and infer all the activity aims and assumptions about learning of the course book writer? Grab the course book nearest you and check! Can you come up with the requisite number of points within the allocated time limit? How is your language analysis? Pick a short text and analyse the hell out of it. If you’re not sure about any of it, time to open About Language by Scott Thornbury and make sure!! Remember, Cambridge examiners give points for the strangest things: if you think it, you might as well write it down just in case – as long as you can write quickly! Can you look at a course book speaking or writing activity and know what students (of a particular level) need? Pick an activity, any activity, of this sort, and see how quickly you can list what learners need (language, structural elements etc), along with appropriate examples. Have you done a mock exam (Paper 1 AND Paper 2, one after the other with only the allocated break time in between) yet? If not, get on it. If so, do another this weekend or on Monday/Tuesday – it won’t hurt to get yourself right in that zone again! This is the twelfth in a series of blog posts I’m doing in response to the number of Delta-related searches that bring visitors to my blog. Each post in this Delta Tips series will deal with a different element of the Delta, based on my experience of doing it (and surviving to tell the tale! ) at Leeds Met. The focus of this post will be the third section – the course proposal. So, you’ve researched your specialism and identified all the inherent issues, carried out a meticulously detailed needs analysis, synthesised all the information it yielded and you’re ready to proceed. What comes next? Creating a coherent 20-hour course, whose content responds to the issues and learner needs unearthed in sections 1 and 2.
show the examiners that you are not a plagiarist (i.e. reference all the wonderful principles/theories alluded to above). explain in no uncertain terms how the afore-mentioned principles have informed your course map. make it blindingly obvious how your course proposal responds to issues identified in part 1 and learners needs (by now thoroughly analysed) from part 2.
draw the examiner’s attention to your learning aims and objectives (which will of course be clearly mapped to your learners needs…), teaching approaches, course content and your choice of materials. These will of course all be thoroughly justified/rationalised. reassure the examiners that your head is not in the clouds – your course proposal (and map) should not only be operable in cloud cuckoo land. give some indication of how the content maps to your part 1 issues and part 2 learner needs. don’t include content in your course map for the sake of it: show how the content you are including helps you/your learners meet your learning objectives (which are based on their needs and the implications inherent in your specialism). don’t just copy out a course book syllabus: the course book wasn’t made with your group of learners in mind, to meet their specific needs. Sorry. 😉 If you use any published materials within your course, make sure you thoroughly justify why you have chosen them and how they meet your learners’ needs. Why does your course represent the best way of meeting your learners’ needs and fulfilling the learning aims/objectives that arise from these? Why have you chosen to follow these principles/theories of course design and not any others? Why are you including this content? Why are you using that set of materials? Why are you using this approach? How will your choices with regards to all of these benefit your learners more than another set of choices could? And make your answers to these questions clear to your examiner through your course proposal. Read pages 72 and 73 of your handbook: Then read them again. Then make sure you’ve read them properly. Don’t underestimate how much time you will need to produce a 20hr course map that is sufficiently detailed. Graves, K (2001) Organizing the course in Designing Language Courses. Newbury House Teacher Development. Graves, K (2008) The Language Curriculum: A social contextual perspective in Language Teaching vol. 41/2. Cambridge University Press. Cambridge. Hall, G.(2011) Planning and organizing L2 learning and teaching. in Exploring English Language Teaching: Language in Action. Routledge. Oxon. Hedge, T.(2000) Course Design in Planning and Assessing Learning in Teaching and Learning in the Language Classroom. Nation P. and Macalister J. (2010) Language Curriculum Design. Routledge. Oxon. Richards, J. (2001) Course planning and syllabus design in Curriculum Development in Language Teaching. Cambridge University Press. Cambridge. Richards, J. (2001) Planning goals and learning outcomes in Curriculum Development in Language Teaching. Cambridge University Press. Cambridge. CPD: What does it mean to you? This is arguably the most obvious element. You identify a gap in your skill set or a need for general upgrade of your skills/knowledge and search for a course to suit your needs. Courses come in all shapes and sizes, varying in length, focus, outcome, commitment requirements, cost and so on. The DELTA (Diploma for English Language Teaching to Adults) or its Trinity counter part, the Trinity Dip. TESOL, is a popular choice for qualified ESL teachers wanting to take the next step. These are internationally recognised professional qualifications with a practical focus. The DELTA is a modular qualification and modules can be taken separately or concurrently, distance or face-to-face, part-time or full-time, intensively or non-intensively. The trick is to make the right decision regarding which of these options will work for you. Being a level 7 qualification, the DELTA gives you a number of credits towards a Masters qualification, depending on the university and the course chosen. M.A.’s (Master of Arts) or M.Sc.’s (Master of Sciences) are generally considered to be more theoretically focused. Popular choices for teachers include Masters in English Language Teaching, Applied Linguistics and TESOL and pure Applied Linguistics. Some M.A.s manage to combine the more theoretical focus of an M.A. with practical application. One such is the Leeds Met M.A. in ELT, which focuses on what you can do with the theory rather than on just learning and writing about it: in the second semester, for example, you design materials, undertake research, develop multimedia tools and write a journal article. First semester content depends on whether or not you choose to do the integrated DELTA option. This, most obviously, would include workshops (both attending and delivering), formal observation, peer observation and the opportunity to participate in short training courses. And, I have discovered, if you work somewhere that truly values CPD (actively, not just paying lip service), then these things become amazing opportunities. I had my first formal observation earlier this week. Scary scary. BUT the DoS had emphasised that this was developmental rather than a test and an opportunity to experiment. So I experimented for the first time with some techniques I’d read about shortly prior to the observed lesson. It was so valuable to then be able to discuss the techniques, difficulties in applying them and ideas for continuing to apply them, during the feedback with my DoS. I now have a lot of detailed feedback notes to read and reflect on before I next teach. However, I have also already had two classes, directly following the feedback, and tried to put into practice the ideas discussed during the feedback, with some good results. So exciting! There have been two workshops since I started here, too, both very thought-provoking and useful. It’s always good to be back in the learning seat. In due course, I hope also to deliver one, as I think this would be a very valuable experience. In addition to this, last weekend I did some Cambridge speaker examiner training for KET and PET exams, which was an interesting process. reflecting on your teaching/development and making plans for what to try out next. I found my Delta and M.A. immensely challenging and rewarding. But I think what comes next is equally important. The CPD doesn’t stop when you finish the course and get your certificate. The course provides you with new knowledge, techniques, methodologies etc. but true CPD is what you do with all of that afterwards. Do you put your certificate in a file and then continue as before? Or do you experiment with everything you’ve learnt and look for new things to try out and connect to your previous learning? At the moment, I have a couple of projects on the go that are very much the result of having done the Multimedia and Independent Learning module of my M.A., that will culminate with my first webinar (in February next year) and recently I’ve also been exercising my materials development learning in making materials for the Global Issues month as well just for my own use with learners. And I’m finding all of this really satisfying, interesting and exciting. I think, too, that having a supportive DoS is key to effective CPD – there’s nothing like being actively encouraged to develop and helped to do so. To me, CPD is the spaces between the words. It’s what and how you learn but also, all-importantly, what you do with what you learn, it’s being aware of opportunities and taking them when they arise. It’s what herbs and spices are to cooking – not strictly speaking necessary but it turns a bland dish (one day of experience repeated for twenty years) into something delicious and taste-bud tantalising! I’m sure I’ve missed plenty of CPD options out of this post, so please comment with any additional CPD ideas you have! Inspire me!! 🙂 What does CPD mean to you? I have just added another section of materials to my Materials page! 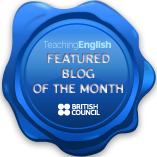 I have now uploaded the second section of the unit – some reading and language focus – plus teachers’ notes. However, because I haven’t got copyright of the reading text – which is taken from Frank McCourt’s Teacher Man – I have blanked out the text. You could still use the sequence by sourcing the book and pulling out Chapter 14 pages 20-23 from “All right the bell has rung.” to “Just take the story and feel sorry for the kid and the mother with her countenance and, maybe, the dad, and not analyse it to death.” This follows on from the speaking section, which I uploaded previously. This is the eleventh in a series of blog posts I’m doing in response to the number of Delta-related searches that bring visitors to my blog. Each post in this Delta Tips series will deal with a different element of the Delta, based on my experience of doing it (and surviving to tell the tale! ) at Leeds Met. The focus of this post will be the second section – the needs analysis. Now that you’ve done your secondary research and written your introduction, it’s time to think about your needs analysis section. This is where you focus on a specific group of learners and devise a needs analysis assessment, with the purpose of informing your course design (the focus of the third section of the essay). what you learnt from your secondary research and the implications this generated. the principles of needs analysis, which should inform the design of your tools. what you want to achieve with each of the tools you choose to use, which will also influence the design and delivery of the tools i.e. exactly what information you want to get. In doing this, you need, of course, to demonstrate awareness of the theory and principles related to needs analysis. As you will be using diagnostic tests, then principles of testing/assessment come into play here: issues such as practicality, reliability and validity are as important in the needs analysis section as they are to the assessment section (part 4), so start reading up on these now! Be concise: (Yeah, yeah – same old, same old, but worth repeating!! It doesn’t get any easier as the project progresses!) You have to cover a lot of ground in 900 words, so redraft and cut words down, think about how you can say things super-succinctly! Read about testing: Andrew Hughes Testing for Language Teachers is a good, clear read for getting the basics down. As mentioned above, principles of testing are very relevant. But look also at articles written specifically about needs analysis and diagnostic testing, as these will cover other related issues (See the bibliography at the end of this post for examples). Read PAGE 72 of the handbook! Then read it again and make sure it went in. Why? Because it has your all-important guiding questions and advice. Worth re-reading both before you start and during and then after to check back and see if you have done more-or-less what they require. Probably initially you won’t have! Don’t despair, it’s normal, just keep redrafting (both tools before you use them and the write up) – you’ll get there. Really think about what it is you are trying to find out with your tools: It isn’t practical to test every single thing under the sun, is it? No. So what are you going to test? Why? How will the information you gain from testing this help you design your course? The same questions go for your questionnaires/interviews – how will finding out this information help you? Whether you find and adapt a test or create one from scratch, be very clear about why you are including each question and what you hope to gain from it. Analyse and evaluate don’t just describe: You will give your learners the questionnaire or interview them, you will give them diagnostic tests. How did you try to ensure that the results were as reliable as possible and would generate as useful information as possible? Whatever tools you use will have pros and cons – that’s ok: nothing is perfect. BUT make sure you show awareness of this. Why are your tools the best compromise in your circumstances? You may want to refer back to the implications you laid out in section one. You may want to refer back to your results or to your appendices (where you will put an example of all the tests/questionnaires etc that you used and evidence that you have synthesised the information e.g.charts, tables etc.) when you identify priorities. This doesn’t need to take a lot of word count: putting A1 in brackets i.e. [statement e.g.”The majority wish to improve their employment situation and integrate socially – their priorities in doing this course”] (A1.vi [Appendix 1, part vi – which in this case was a chart showing reasons for learning English]) is a concise way of cross-referencing. Spell it out! Use sub-headings. And I mean very specific subheadings. I know I already said this in the post about the introduction but it bears repeating. Really make it easy for the examiner to know that you have included everything that you are supposed to. You could, for sure, very cleverly weave everything in together in one body of writing, but then the examiner has to hunt out everything they are looking for. I would say, therefore, don’t bother. Keep it simple. Sub-headings all the way. It helps you keep track of what requisite information you have included and helps the examiner find it. It also makes it clearer for you to see if you have missed something. So, for example, if those are your implications for course design, label them as such. Bullet points are good too. Bullet point your implications and it becomes very clear where one implication ends and the next begins. Examiners like very clear. Remember the importance of context: To an extent, a tool isn’t good or bad in itself – how effective or not it is depends on the context you are teaching in. A given test could be ideal for an exam prep class diagnostic but useless for a general English class diagnostic. A detailed test focusing on only one skill may be great if that skill is implicated as being a priority in your secondary research/implications but hopeless if your course needs a more general focus or a specific focus on a completely different skill. Equally, a questionnaire may suit one group of learners and generate really useful information in that context but produce irrelevant, unhelpful information in another. This is why you don’t just use an off-the-shelf tool without thinking it through and adapting it to meet your requirements first. Don’t make things too complicated: Don’t use any tools for the sake of using them, don’t write reams about principles, that you then proceed to completely ignore in the design of your tools. Identify key principles, apply them to your tools. Demonstrate that you have done this by making it very explicit in your 900 words how you have used the principles to help you make the tools as effective as you could in your context. Davies, A. (2006) What do learners really want from their EFL course? in ELTJ Vol 60/1. Accessed: 22nd September 2012. Cotterall, Sara. (2000) Promoting learner autonomy through the curriculum: principles for designing language courses. In ELTJ vol 54/2. Oxford University Press, Oxford. Accessed: October 11 2012. Graves, K.(2000) Defining the Context in Designing Language Courses Newbury House Teacher Development. Heinle and Heinle. Nunan, D. (1997) Getting Started with Learner-Centred Teaching in English Teaching Professional issue four. Pavillion. Accessed: 15, October, 2012. Perrin, G (2009) Diagnostic Procedures in Language Learning MET vol 18 no 4. Pavillion. Accessed: 14 October 2012. Seedhouse, P (1995) Needs Analysis and the General English Classroom in ELTJ vol 49. Accessed: September 22, 2012. ***But remember***: New stuff is being written all the time; I’ve used some stuff that I haven’t listed – this is a selected list of references: This list is far from exhaustive!!! So use your search tools (see previous Module 3 posts) to find other books/articles too. Also, if you do get hold of sources from the above list, look at their reference lists (at the end of the article/book) and do the treasure hunt thing: Run your eye over the list, looking at dates and titles, think “hmm this recent and looks interesting, or this was referred to a lot in the book/article, so it might be worth a look” etc. and try to source them through your centre library. To see tips for the course design section: click here. Some materials – at last! Finally I have added some materials to my Materials page!